I had been in Bordeaux for about two weeks before I felt like I really belonged. Don't get me wrong. By this time I was in love with the city — the winding cobblestone streets, the centuries old stone buildings, the outdoor plazas — but all of this seemed to be something that was very much a part of the “real” Bordeaux life and not my life. However, about two weeks after I arrived, I was out grocery shopping and I bumped into a friend from school. It may seem like an insignificant event, but for me this was the “aha!” moment. This moment made me think about how I was at the place in my time here where I knew people in Bordeaux, where I could just bump into a friend on the sidewalk and where I could create regular experiences and encounters for myself. Since that moment, I have been trying to create more “regular” encounters for myself. I have been creating friendships with the girls who work at the café where I study, learning the names of the shopkeepers around my apartment and seeking out people to practice French with. More than this, I also now know café and supermarket shortcuts down twisty alleys that were intimidating upon the first look. 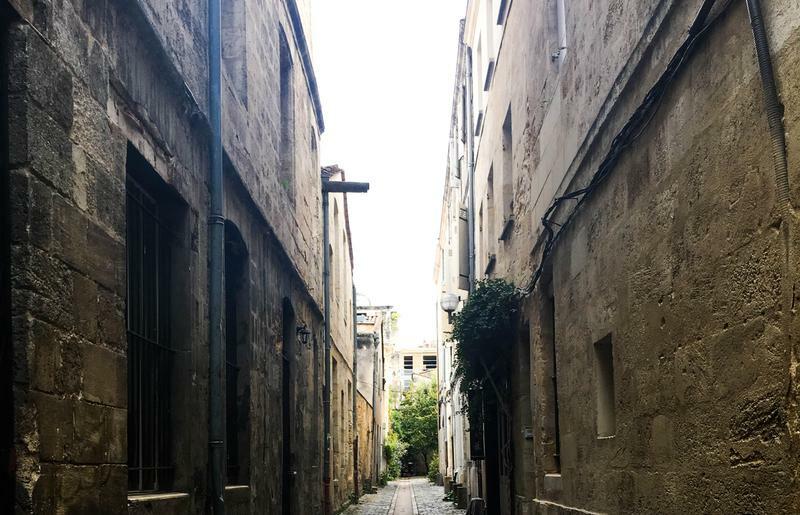 When I started gaining a knowledge of people, names and obscure alleys, I began to really think I belonged in Bordeaux and that Bordeaux is home. But that level of belonging and creating a home for myself here did not come by me staying in my house and binge watching Netflix. Rather, it came from me swallowing any worries of being socially awkward and going out to meet people, try out new places and explore. From this, I learned that talking to strangers can sometimes be beyond my comfort zone, that I can definitely be socially awkward and that getting lost is bound to happen. But all these experiences have added up to me being a part of my home in this gorgeous European city — and that feels pretty amazing.